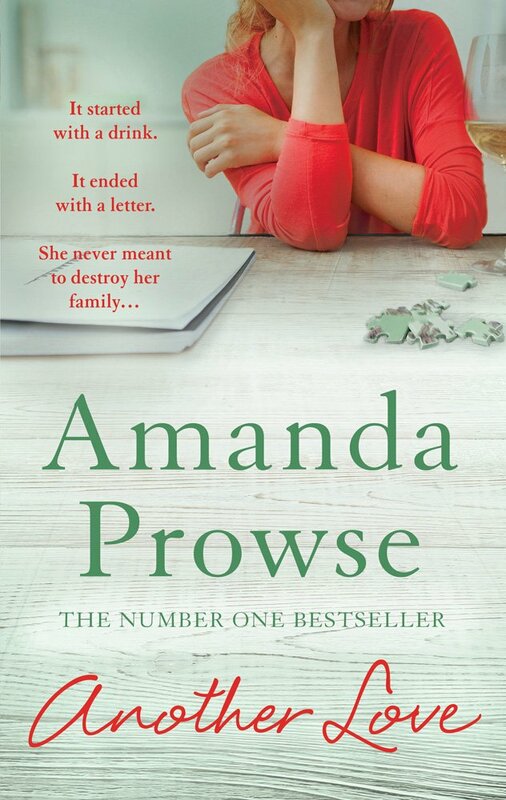 Having heard so many great things about her, I have been meaning to read an Amanda Prowse novel for quite some time. So when Another Love popped through my letterbox as the result of a Goodreads Giveaway, it had barely hit the mat before I had ripped it open and turned to the first page. What an amazing story - it was heartbreaking, uplifting, tear-jerking, joyous, despairing and hopeful - this book really does have it all. Romilly is the most flawed character I have ever come across. She just doesn't know when to stop drinking and she is almost bi-polar in her outbursts when the alcohol has her in its grip. Her whole family is affected, none more so than her daughter Celeste and my heart was breaking as each chapter ends with a snippet from her diary. She loves her mum but she is also afraid of her and it was absolutely devastating reading all of Celeste's feelings. Romilly's husband, David, clearly loves her but you can feel him getting to the end of his tether and I was wondering how much more he could take. As Romilly spirals out of control, David asks her to make a heartbreaking choice - her family or the booze. A decision that Romilly has to live with for the rest of her life - a life that I feared grew shorter every time the bottle hit her lips. Amanda Prowse has really managed to get under the skin of an alcoholic; the denial, the lies and the feeling of euphoria were all described so well that I felt I was standing in Romilly's shoes. Alcoholism is a serious battle and I can now see how easily alcoholics can fall off the difficult and long path to recovery. I did need my tissues at the end of this book as the tears fell down my face, blurring the words on the page. I think perhaps they were tears of sadness, joy, and even a mixture of both, as the ending wrapped up perfectly. Now I know why readers get excited when a new Amanda Prowse novel is released - I will certainly be one of them from now on. I received this book from the publisher, Head of Zeus, via a Goodreads Giveaway.